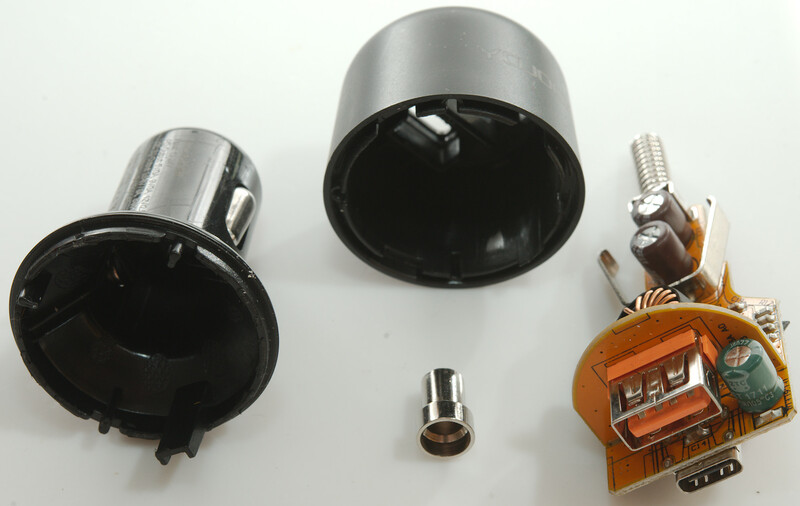 Behind the small hole is a blue led to show when socket is powered. 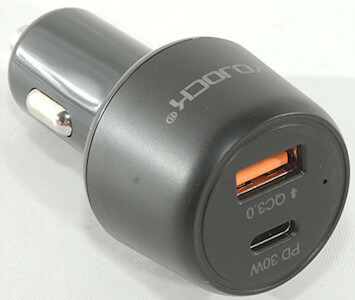 It is slightly too short for my test car outlet. 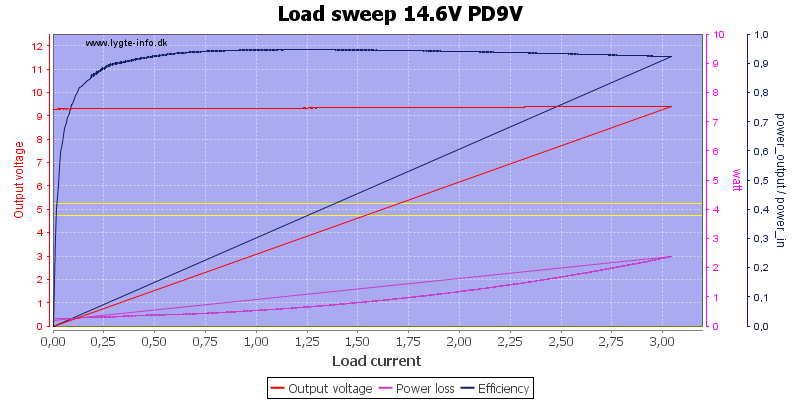 Power consumption when noting is connected to output depends on input voltage. 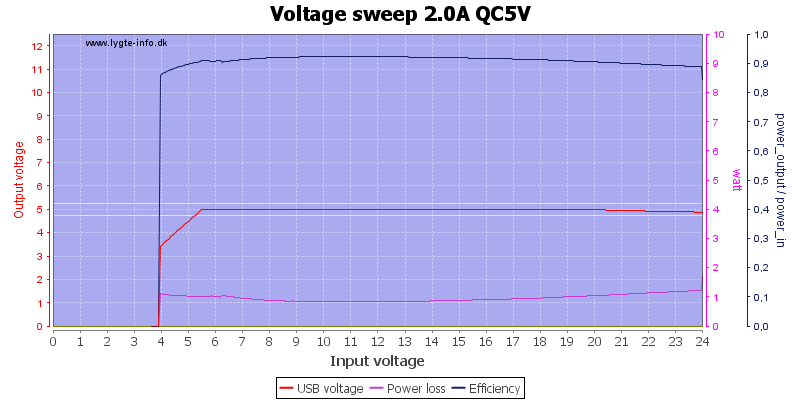 5V output with low input voltage, this looks good up to about 3.5A, this is fine for a 3A rated output. 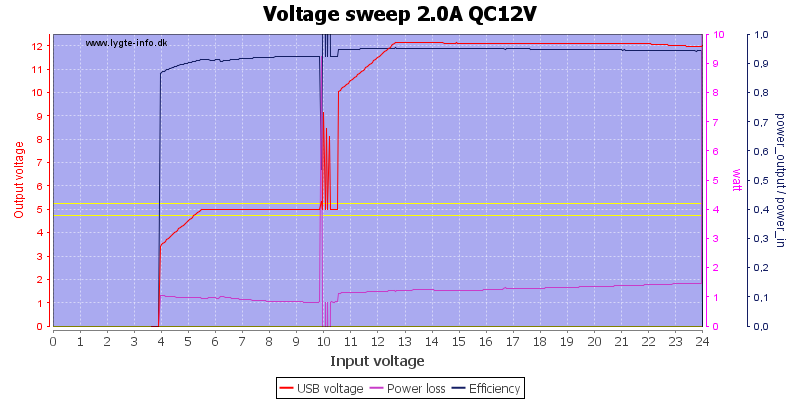 12V output, again the same 3.5A, output is only rated for 1.5A. 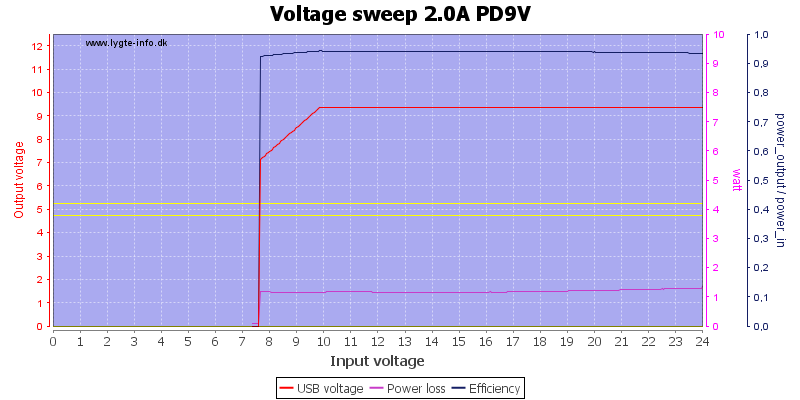 Output voltage is a bit low, because the input voltage is low and this charger do not have a boost converter. 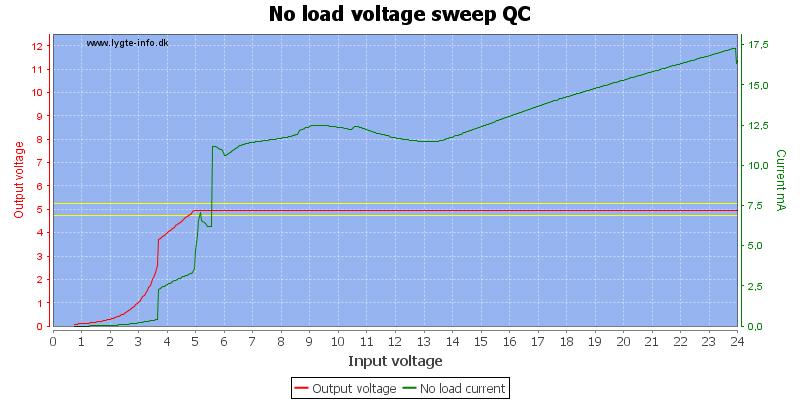 12V output with high input voltage the output is maintained at 12V. 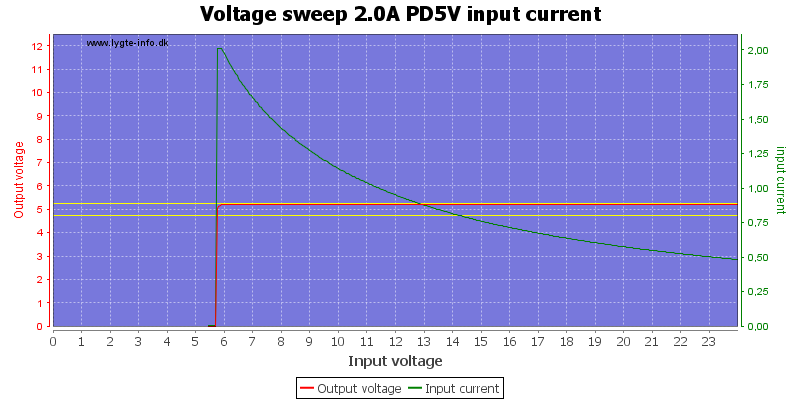 In these curves I sweep voltage from 24V and down with a output load of 2A, this one shows the input current with 5V output. 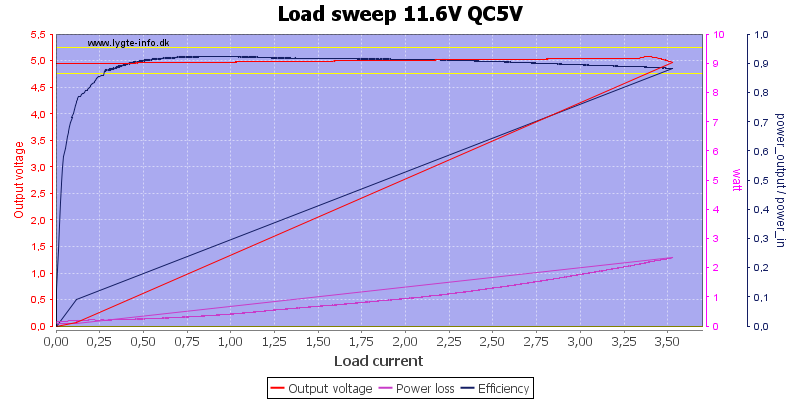 The 5V output is stable down to about 5.5V input. 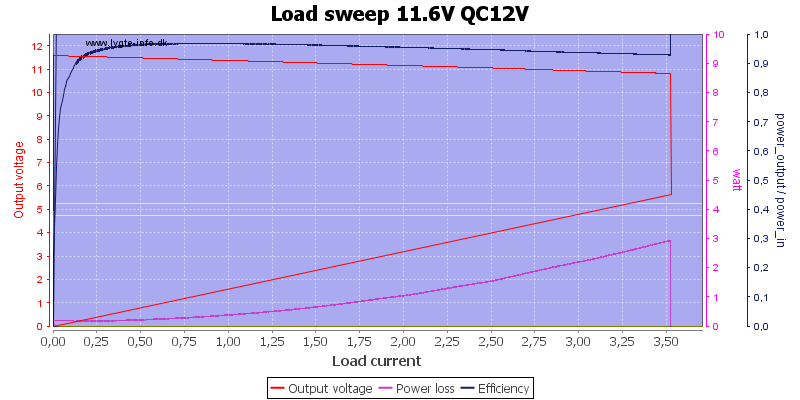 At 12V 1.2A the noise is 6mV rms and 136mVpp. 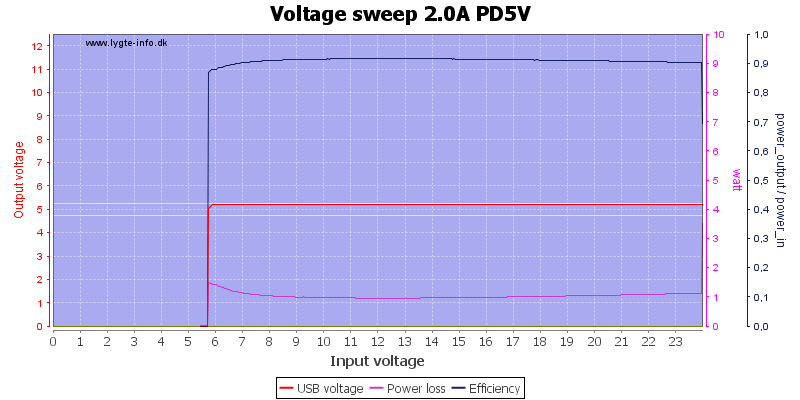 USB-C PD with 5V output and high input voltage can deliver a little bit above 3A. 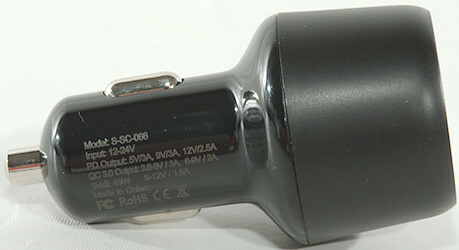 9V is also a bit above 3A. 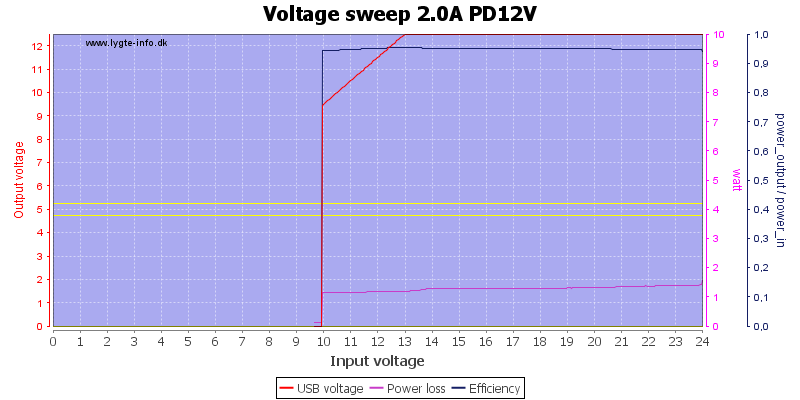 12V output with low input voltage, as expected the output voltage is a bit low. 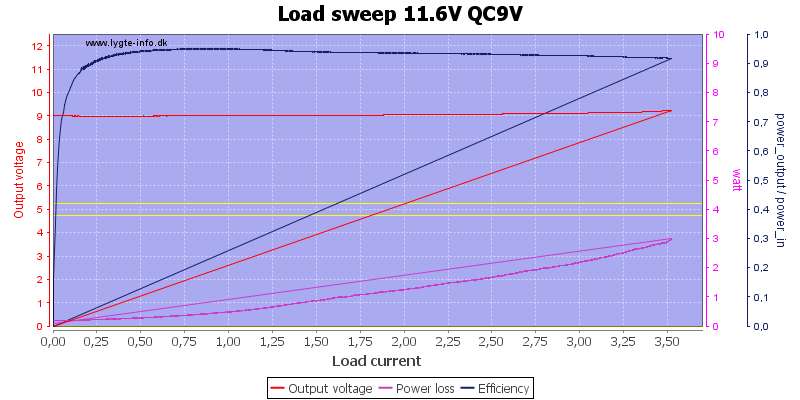 It can maintain 5V output down below 6V input. 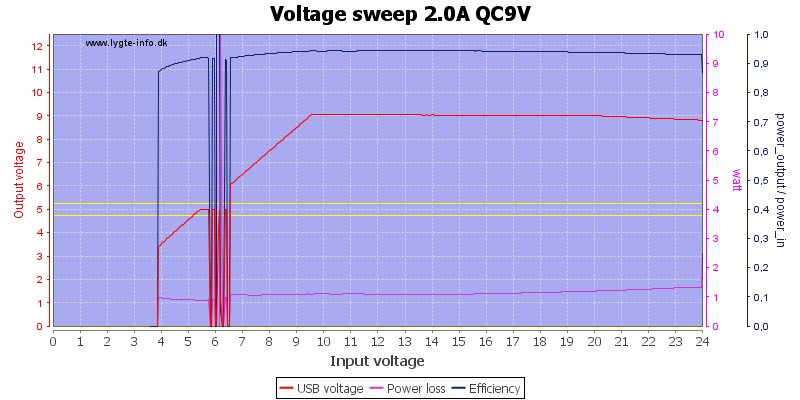 For 9V output it need 10V input. 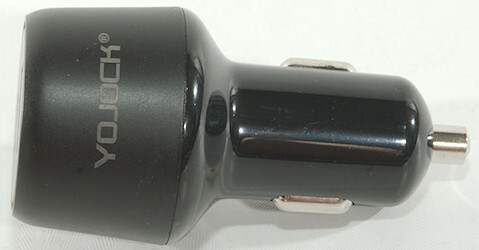 For 12V it need 13V input. 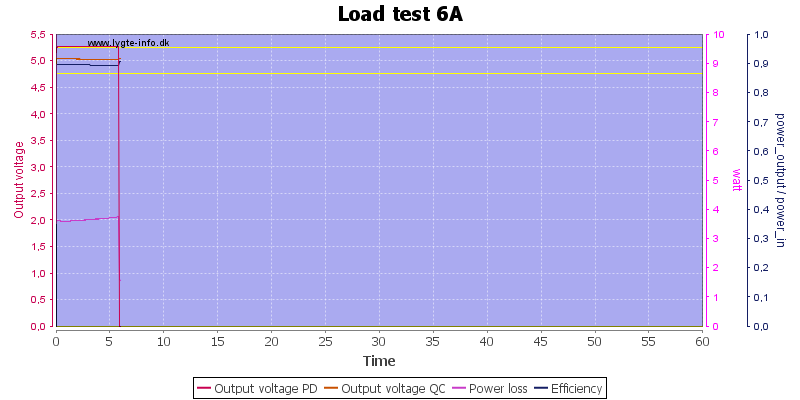 First test is at 5V 6A, i.e. 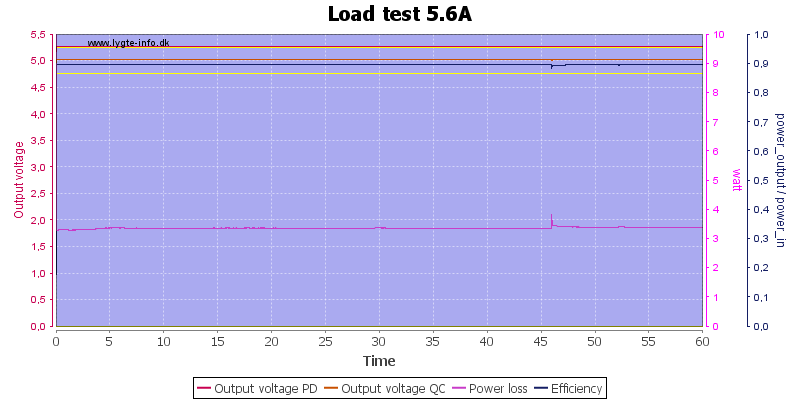 rated load on both output, that was too much for the charger. 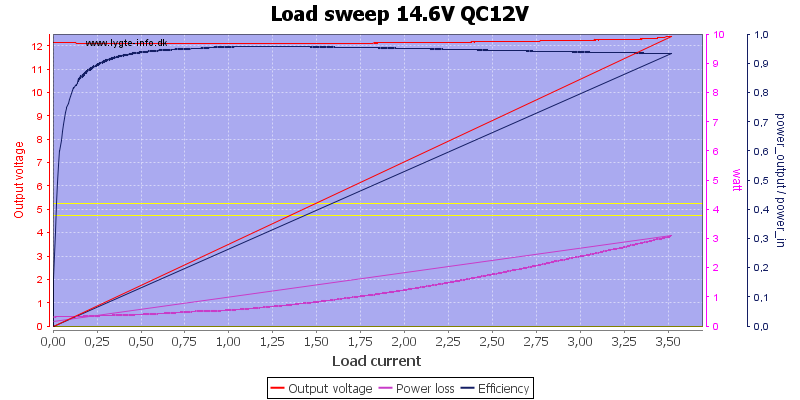 Reducing the current to 2.8A on both output fixed it and it could run a hour. 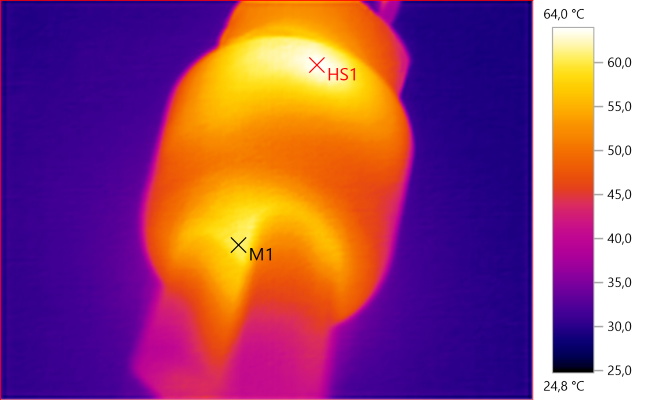 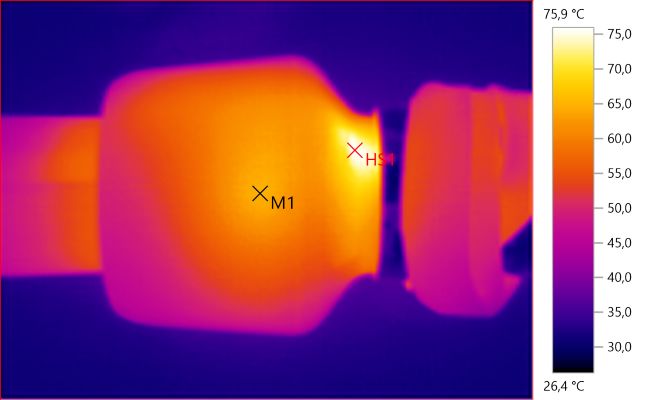 The temperature photo below are taken between 30 minutes and 60 minutes into the one hour test. 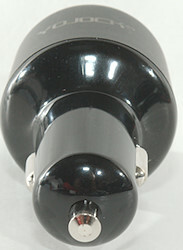 I mounted it my vice and gave it a whack of my mallet and it was open. 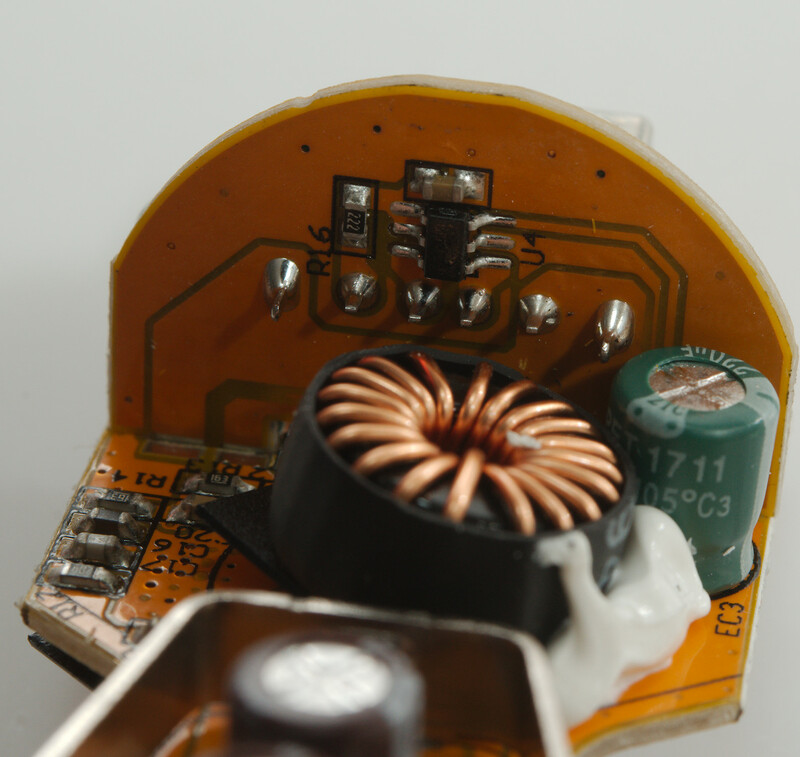 On this side is one of the inductors. Where the spring is connected is a fuse. 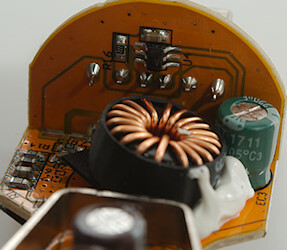 Both switcher chips are below this inductor, there is a total of 3 chips. 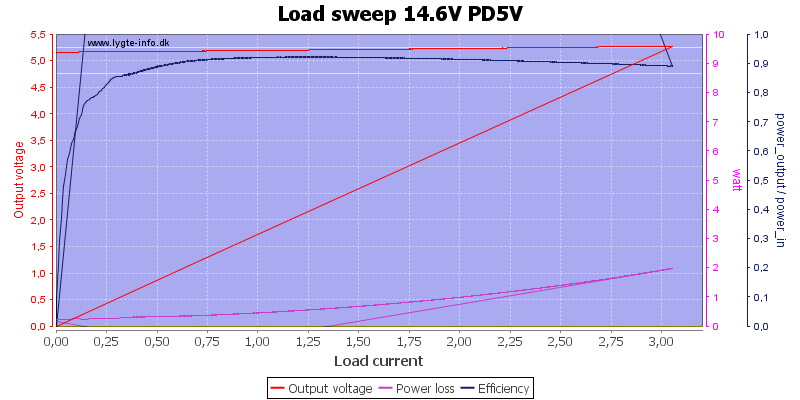 Probably 2xswitcher and one PD controller. 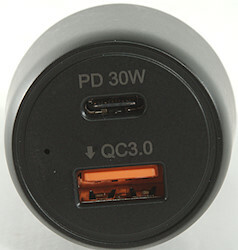 Beside the usb-c connector is a transistor (Q3), it is probably used to turn off the usb-c voltage, until the chip sees a usb-c device that wants power. 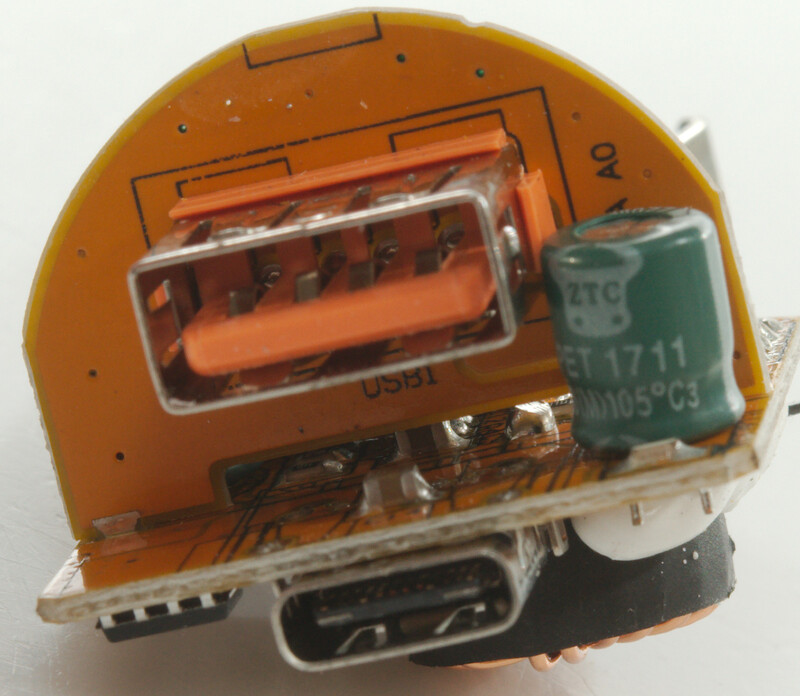 Behind the usb-a connector is the QC and more chip. 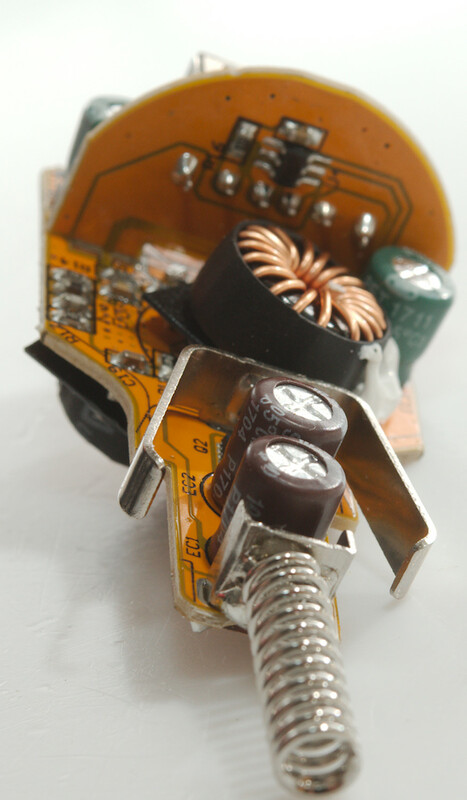 Being a 12V device there is no need to test with high voltages. 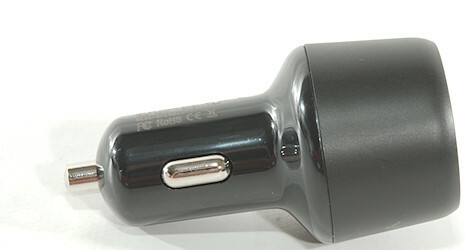 The USB-A output supports all the common fast charge schemes, including Quick Charge. 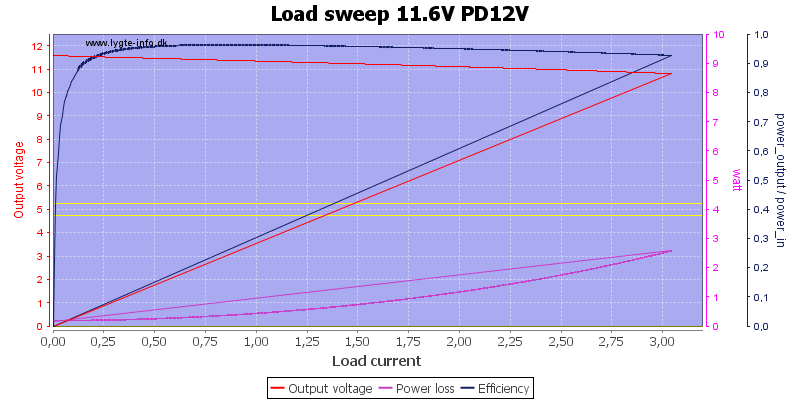 The PD output support a few fast charge schemes in addition to PD. 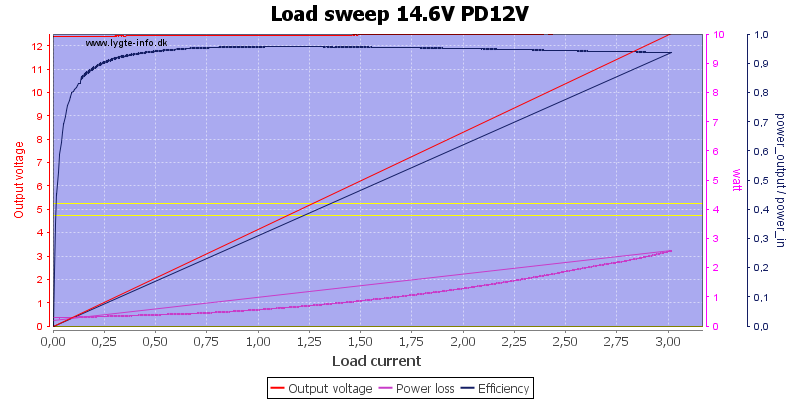 The over current protection on PD is a bit to close to the 3A specification and prevented using it at full power. It can deliver up to 12V on both ports with a fairly low voltage drop.